Scared Dempsey, on arrival to the SPCA. 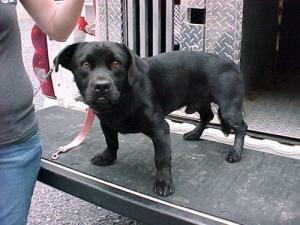 Dempsey was a scared dog when he came into the SPCA. He was crate-trained, but he didn’t say a word in his crate, just panted. 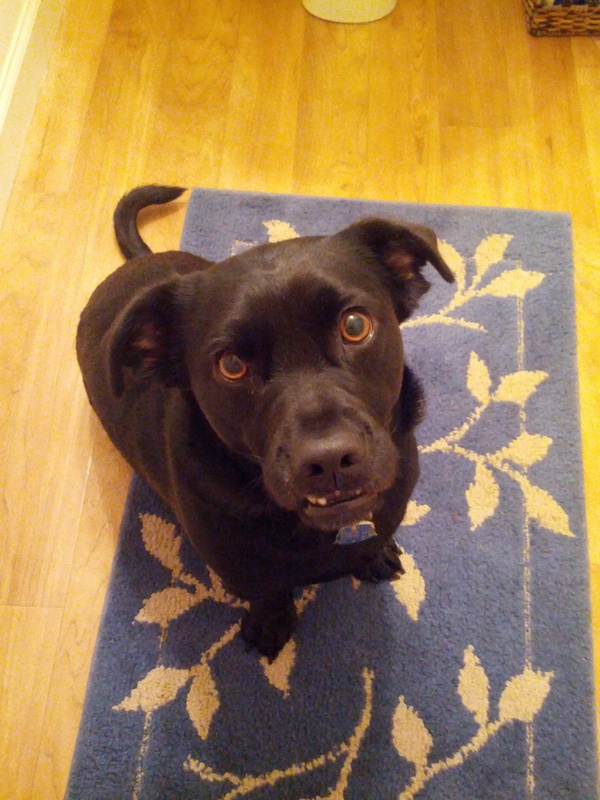 In case you’re curious, Dempsey is a lab mix, but we’re not sure what he’s mixed with. He was full-grown when he arrived at the SPCA in the picture to the left. Dempsey smiling in his forever home.